Could it be an alien probe? Last month, scientists confirmed that an asteroid spotted in October was the first interstellar object ever detected that’s larger than a mote of dust. Now, astronomers are set to use one of the largest telescopes in the world to check the cigar-shaped ‘Oumuamua for signs of alien life. 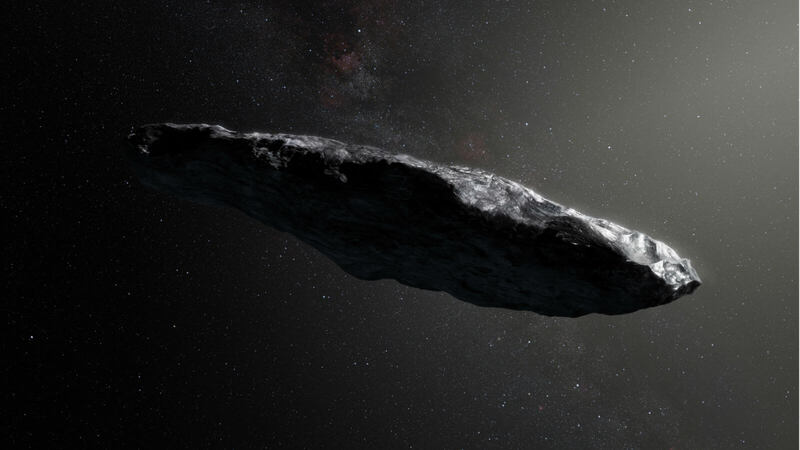 The Pan-STARRS project at the University of Hawaii first discovered ‘Oumuamua, which reached peak speeds of 196,000mph as it entered our solar system at an angle close to the Sun and passed Earth at 85 times the distance to the moon. ‘Oumuamua's unusual characteristics, such as the fact it’s at least ten times longer than it is wide (it’s about 400 meters in length), has led scientists on the Breakthrough Listen project to focus its observation efforts on the asteroid. The $100m initiative, which is funded by internet billionaire Yuri Milner, aims to answer the question of whether we are alone in the universe by searching for evidence of alien civilizations. “The more I study this object, the more unusual it appears, making me wonder whether it might be an artificially made probe which was sent by an alien civilization,” said Avi Loeb, professor of astronomy at Harvard University and an adviser to the Breakthrough Listen project. ‘Oumuamua is now around two astronomical units away from earth, which is twice the distance between the earth and the sun. The Breakthrough Listen team will use the Green Bank radio telescope in West Virginia—the largest fully steerable radio telescope in the world— to scan the object across four radio frequency bands ranging from one to 12 gigahertz. It would take the telescope less than a minute detect something as faint as the radio waves from a cell phone. Even if the asteroid doesn’t provide evidence of extraterrestrial life, the study could still reveal if ‘Oumuamua is carrying water or ice, and whether it’s surrounded by any clouds of gas.